There’s not a bad seat in this house. What started as great has become magnificent. The historic 1939 Robinson Center’s lavish $70 million renovation has made it the crown jewel for performances, meetings and events of all types in Little Rock. A world-class concert and performing arts venue, a state-of the art meeting facility and an anchor of Little Rock’s downtown vibe, Robinson Center never disappoints. The 2,222 seat performance hall has been designed for optimum acoustics and optics. Comfortable seats and full bar service make great performances – and intermissions – even better. With seven room configurations totaling nearly 25,000 square feet overlooking the Arkansas River, Robinson Center can accommodate a wide range of meeting and convention needs. The 7,135 square foot ballroom and 5,477 square foot terrace offer stunning views of the river and Little Rock’s lighted bridges. 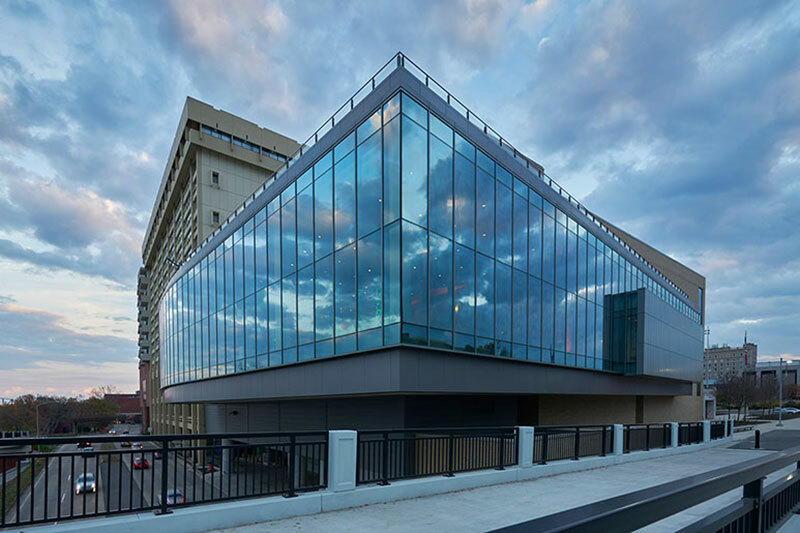 You can walk directly from your accommodations at the DoubleTree by Hilton Little Rock into Robinson Center, making it easy to catch the next performance or the next breakout session. The two facilities share an underground parking garage for even more ease and convenience. Get to know Arkansas’s capital city and you’ll discover hospitality with a southern accent. A foodie city with a thriving craft beer and adult beverage scene, our attractions are a perfect complement to Robinson Center’s offerings. Museums, outdoor activities, history, great restaurants and nightlife – and it’s all within easy reach. Y’all come see us. Robinson Center is operated by the Little Rock Convention & Visitors Bureau (LRCVB), the official destination marketing organization for the City of Little Rock, charged with marketing and selling the city as a meeting, sports and leisure travel destination. The LRCVB also manages the Statehouse Convention Center, Ottenheimer Hall, the River Market Pavilions, First Security Amphitheater, and multiple parking facilities.